Salina Police were dispatched to the 500 block of Anderson in the early morning hours on Wednesday. Capt. Paul Forrester tells KSAL News that dispatch received a call at 6:05 a.m. from 49-year-old Travis Rathbun saying that an unknown female had entered his home and stabbed him. Rathbun was asleep in his bedroom when he was awoken by an intruder. Rathbun got out of bed to check things out when he made contact with the suspect. The female intruder then began yelling at Rathbun and went for his unloaded bolt-action rifle sitting in the corner. When Rathbun was able to wrestle the gun away from the intruder, he went to call 911. The intruder then ran to the kitchen and found several knives and attacked Rathbun. During the second struggle, Rathbun was stabbed several times on the left side of his body, however, he was able to complete the call to emergency services. When officers arrived, they found Rathbun holding the intruder down. 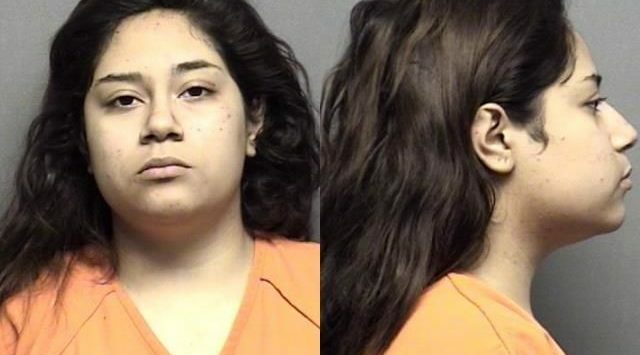 Law Enforcement then struggled with the intruder, forcing them to tase her before arresting Amy Ramirez of Salina. According to Forrester, during the investigation, they found that Ramirez was possibly under the influence of narcotics, which led police to get a warrant to search her residence at 513 Anderson–across the street from Rathbun’s residence. At Ramirez’s residence, police found narcotics and marijuana paraphernalia. Ramirez was charged with one-count of attempted first degree murder, aggravated burglary, aggravated assault, two-counts aggravated assault on a law enforcement officer, criminal damage to property, trespassing, interference with law enforcement, possession of marijuana and possession of drug paraphernalia. Rathbun and the female did not know each other. Rathbun was taken to the hospital and treated for five stab wounds on the left side of his body including his cheek, neck, upper arm, inside elbow and hand. He was later released.